Attractive, soft toe, casual work shoe. 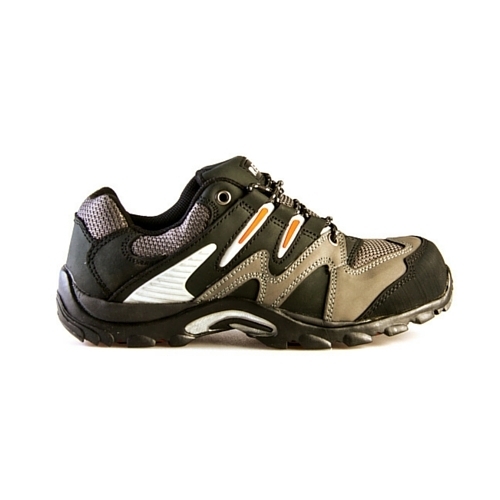 The WorkPro is the ideal shoe as casual work footwear, where a clean and uniform look is ideal. The Workpro’s ergonomic design and versatility, as well as its affordable price tag, make this non-safety shoe a certain favourite among hospital, hotel, forecourt, restaurant, retail, cleaning, promotional, event, and front desk staff. Full-grain, water resistant action leather upper. Exceptionally comfortable. Breathable and abrasion resistant Taibrelle (equivalent to Cambrelle). Lightweight double density PU sole. Highly durable, slip- and oil-resistant outsole. Great value for companies looking for a uniform shoe for their staff.